We are delighted to announce that we will be partnering with teachers and leaders in Catholic education to hold a Catholic Education Un-Conference next year. Please mark your calendars, Wednesday 17 and Thursday 18 July 2019 (second week of the holidays). This will be held in Auckland. Mark your calendar and await details. Contact nzceooffice@nzceo.org.nz if you have any questions in the meantime. 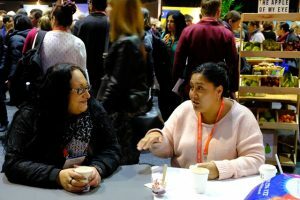 Often when attending a conference the best conversations happen outside the keynote speeches and lectures. It is where people form connections, ideas are shared, plans are hatched and collaborative projects are created. This is the focus of an Un-Conference. Participants will share their voice and expertise with others. Each participant will have the opportunity to pitch, select, organise and deliver sessions on a topic that they believe will help fellow educators across the Primary and Secondary Catholic education system. The Un-Conference format empowers participants to share their expertise and an opportunity to have an unfiltered exchange of innovative ideas.